I miss the old days, when I was dancing with my group covering Girls Generation. Now, they are so busy and some of them stay out of Bandung, so we cannot dance again together. Fortunately, I have these amazing friends who like kpop just like me, and we have the same desire at the moment. We want to cover Blankpink dance. I got so energized suddenly when we create this group. This group cover named eB-Dance. eB is taken from our workplace name. But I don’t know if this group name will last or not. Lol. Then, we decided to pick the the role. 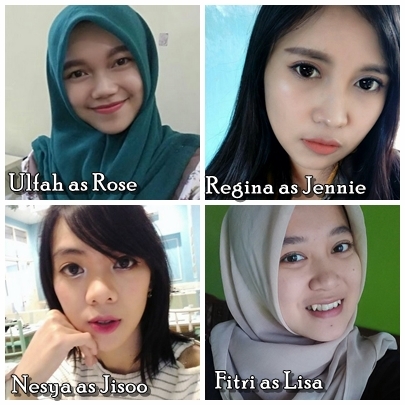 Nesya chose to be Jisoo, and Ulfah is chosen to be Rose because she was sick back then, so she had to accept what role she got. Furthermore, Regina and I picked the same role as Jennie Kim. We both like her. So we decided to play paper, rock and scissor (Suit kertas batu gunting) I don’t know what name it is in English. Unfortunately, Regina got the role because she won in this game, and I had to accept to become Lisa. Oh and we already had a manager. 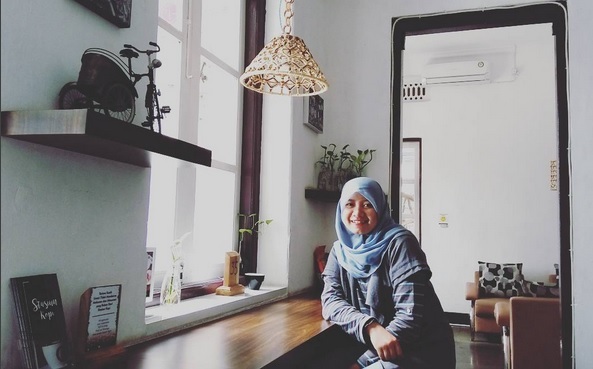 She is Ridha. She is so kind. She gives us great advice and plans to make this group as good as other cover groups. Oh.. for you who doesn’t know what Blankpink is. I tell you briefly. It is a girl group from South Korea, YG Entertainment. 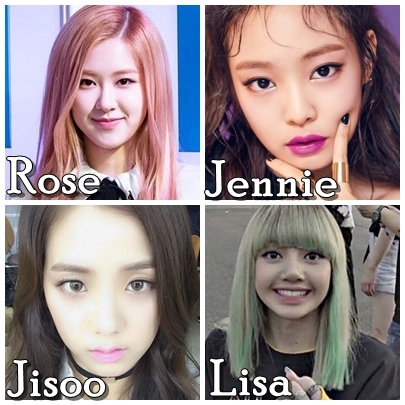 The members are Lisa, Jennie, Rose and Jisoo. They were trainees for years and have debuted this year. They released their two mini albums, Square One and Square Two. Try to listen to their songs in the albums. Every song is a masterpiece and have a lovely hook. We, eB-Dance has decided to practice every Saturday morning. I let you know if we have an improvement in covering Blackpink’s dance. Because this group is created just for fun, so probably don’t expect too much okey. Lol.